BarCooler™ beer and wine insulators are built with a patent-pending double wall stainless steel design to keep beer and wine bottles cold for several hours. The coolers are 100 percent BPA-free and nontoxic. 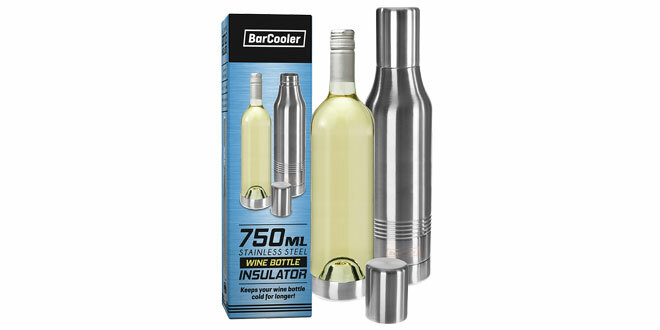 The wine insulator fits most 750 milliliter bottles and features a silicone stopper cap to keep wine fresh.